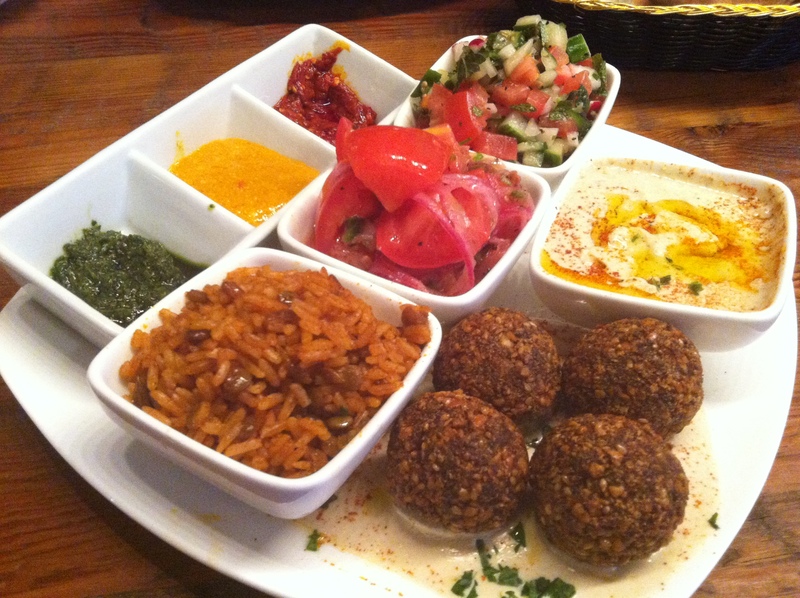 Silvana is a middle eastern restaurant nestled next to the very up-and-coming Frederick Douglas Boulevard in Harlem. Upstairs it offers eaters a communal style eating area with eclectic trinkets all over the walls that make it feel like you’re over your best friends apartment that’s so cool you wish it was your place. Downstairs offers more dining and usually you can find live music throughout the week. I must say, typically I am not a falafel person. It’s been years since my last falafel (wow that felt good to get out) so I was a little skeptical about what to expect. Well, I am very happy to report that Silvana’s falafels are totally gluten free and seriously awesome! Super nice crunch on the outside and the inside is soft and tasty. I liked it so much that I’ve ordered this appetizer two more times for dinner. Oh and the tahini sauce’s nutty taste and velvety texture is spot on. I can’t get enough of it. It’s a homey dish that’s perfect for a cold wintery day. 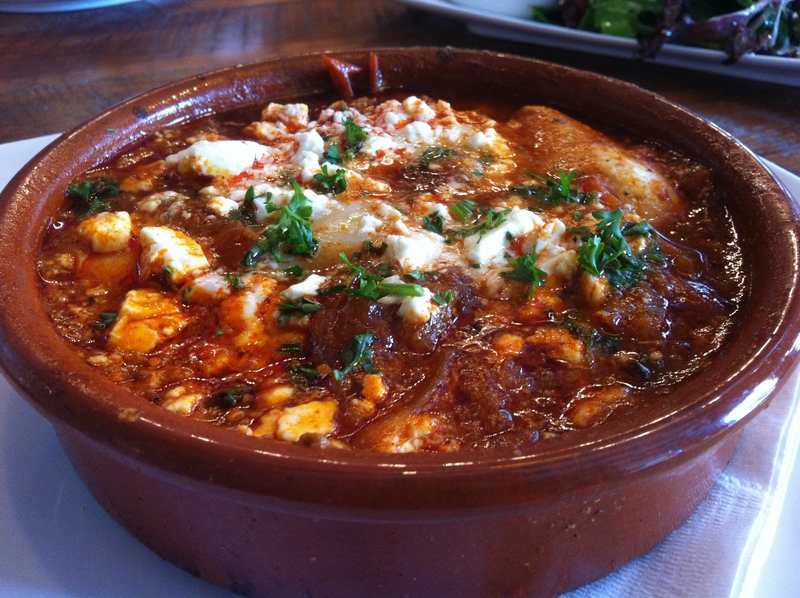 The feta and its brine adds a great salty taste to the dish that I really enjoyed. This dish is mild in flavor but still very tasty. I recommend sharing it and pairing with an appetizer or splitting it with another entree. 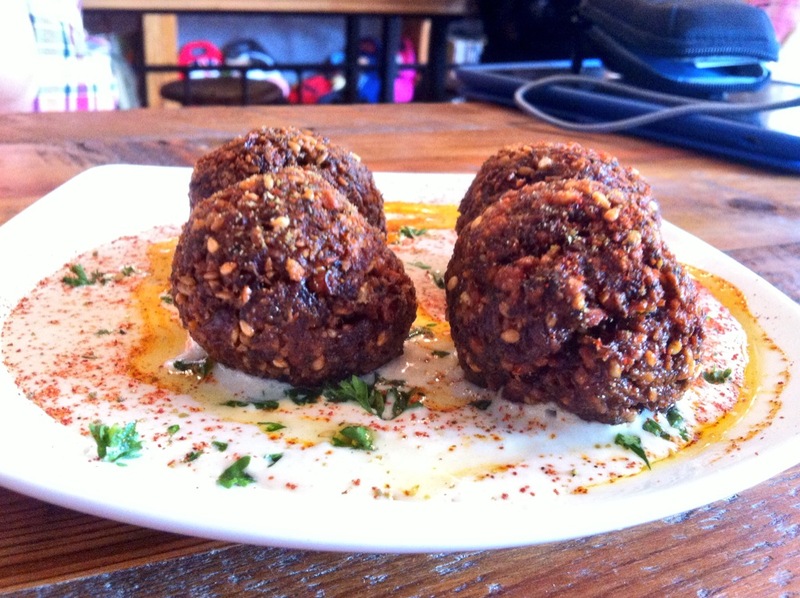 If you’re hungry and are craving falafels I highly recommend this dish. Normally this would also come with pita but obviously I’m not going to eat it. Silvana, maybe you could do us gluten free foodies a solid an offer a gluten free pita? Hummus – How could you not? It’s amazing! Fun Fact: Anything you see in the restaurant, I mean anything, can be purchased. The light fixtures on the wall, books on the shelves, nicknacks on the counter, everything. Seriosuly, there’s some really cool stuff that I would decorate my apartment with or give as a gift to someone. Silvana is a great place to grab a quick bite of middle eastern food or to just go with your laptop (free wifi) and do some work while munching on some good food. It’s reasonably priced for what you get and it all tastes fresh and is made very well. This is a regular spot for me so I hope you like it!